Sport has the power to transcend all barriers in contemporary society, as race, gender, sexuality, religion, status, education, socioeconomics, intelligence – the roots of politics themselves – seemingly lose all relevance once athletes come together onto their chosen battlefield and immerse themselves in the sanctuary of sport, and time stands still as we engage in the centuries-old tradition of competition. While some may dismiss sport as mere “games,” sport remains the lifeblood of athletes all across the globe; some of us live and breathe sport and others among us cannot imagine a life without it. The love between an athlete and sport is one of the most intimate relationships in existence, and it’s one that only other athletes understand. With such a great power at our disposal comes the question of who is entrusted with the responsibility of wielding it? The answer is the coach. Like generals of war or elders within a tribe, coaches attain their positions of power through time spent in the trenches, and accumulate wisdom through lessons that only years of experience can teach them. Therefore, it is our responsibility as coaches to pass down this knowledge, ensuring that tradition and culture of our sports are passed down in their purest forms and live on through the ensuing generations. To be a successful coach, one must be well versed in several areas including, but not limited to, communication, interpersonal skills, psychology, exercise science, and tactical sports knowledge. This is where the culmination and the marriage of art and science come together to produce successful athletes and sports programs. I will explore two prominent figureheads in coaching, their philosophies, and how they have influenced my career. First I will examine Bruce Lee, whose philosophies represent the art of coaching. Bruce had an infectious charisma about him; he was simply such a COOL guy (insert George Costanza joke here), and while I have no background in martial arts whatsoever, just thinking about the guy makes me want to swing around a pair of nunchucks in a yellow jumpsuit. Consequently, the inspiring ability for Lee to have influenced not only martial artists of his time, but a mass of individuals that transcends time and spans across sports and generations, is a testament to the immense charisma he possessed, and all coaches should strive to use their passion and ability to gain the respect and admiration of their athletes and ultimately influence generations of athletes in their own sport. Using his persona to captivate his audience, he devoted himself to spreading his philosophies on life. 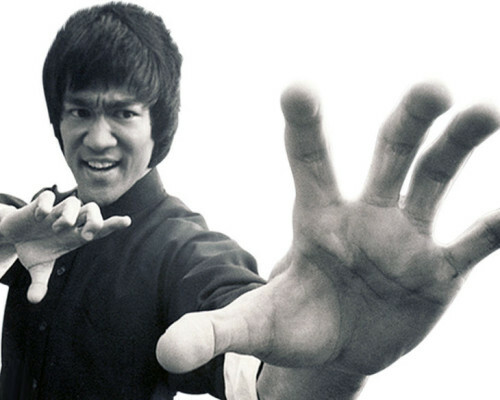 Lee stated, “Martial arts has a very, very deep meaning as far as my life is concerned because as an actor, as a martial artist, as a human being, these I have learned from martial arts.” I think we as coaches and athletes can nod along at the life skills we’ve learned through sport – responsibility, teamwork, communication, leadership, respect, etc. Lee used his passion as a means to teach lessons about life, and though he used a very specific teaching aid in the form of martial arts, Lee believed that “all types of knowledge ultimately mean self knowledge.” So, it’s imperative for us to look at coaching not only through the lens of our respective sports, but in the greater context as well. When applied broadly to the coaching profession, this concept of balance can be applied to numerous dualities. For example, a coach must successfully blend science with art, theory with practice, and structure with creative freedom in competition. Going back to Lee’s aforementioned metaphor, water can both flow and crash. As a result, it is necessary to balance both and know when it is appropriate to apply either extreme or an amalgamation thereof. The final prominent pillar of Bruce Lee’s philosophy is simplicity, and ensuring that what is taught and practiced is effective. Lee came about this philosophy after a famous fight he had on a San Francisco rooftop. Despite winning the fight, Lee believed it took far too long to subdue his opponent, and he realized that the kung fu styles he had been practicing throughout his life were too flashy and ineffective in a real combat scenario. After this, Lee proclaimed that he doesn’t believe in styles anymore in that they are too rigid, and consequently found success by blending several styles of martial arts together. For this, some consider Lee to be the father of MMA.